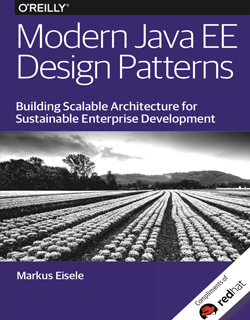 Modern Java EE Design Patterns - an O’Reilly book. Download now. InfoQ Homepage Modern Java EE Design Patterns - an O’Reilly book. Download now. With the ascent of DevOps, microservices, containers, and cloud-based development platforms, the gap between state-of-the-art solutions and the technology that enterprises typically support has greatly increased. But as explained in this O’Reilly report, some enterprises are now looking to bridge that gap by building microservice-based architectures on top of Java EE.